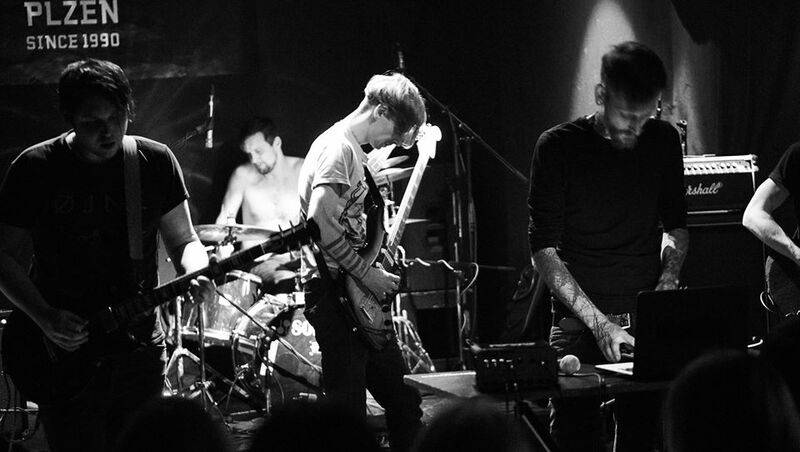 In 2012, when the live recordings of a Czech band called ██████ started assembling lots of listeners in the close-knit European punk/metal scene, it was their name that caught most people’s curiosity. Just a black bar, no words, no sounds, and impossible to search for on the internet. And when said black bar would appear on a flyer, some would think of a mistake, some of a band that was yet to be announced, even when the caption would (vaguely) specify what all of this was about: black metal from Plzeň. One year later, the five-piece released a four songs demo and clarified that their name should be pronounced “nic”, “nothing” in Czech. However, with their music finally out, the peculiar name was not their only trademark anymore. Their sound turned out to be just as obscure: atmospheric black metal with melodic yet uncompromised and dissonant shapes of screamo and post-metal. Since 2013 was also the year of Sunbather, several comparisons with Deafheaven came quite naturally. But ██████ do not try to sound like any band in particular. Their melodies come from their musical background, their atmospheres from the foggy hills of western Bohemia, and their darkness from the wet and narrow basement where they started to practice in their hometown. Their songs – named with plain and simple Roman numbers – are breathtaking, but always have something macabre and clammy that keeps them from being fully explosive. It’s as if they’re visually set in a claustrophobic forest grown on lo-fi recordings, anxious and nihilistic lyrics in Czech, cursed blast beats and muffled guitar riffs. The well-conceived union of all of these elements reached its peak in the two tracks – one is more than fourteen minutes long, the other is their most poignant and emotional one to date – recorded for the split with their Michigan-based friends Old Soul in 2014. In just a few years, ██████ managed to create their own style of black metal, and it goes way beyond the hype behind their name.